Still Report #2643 Arson Likely Cause of Notre Dame Fire. Arson at France’s Notre Dame Cathedral? President Macron Won’t Have it! Less than 24 hours after Notre Dame Cathedral was destroyed in a fire, and before an investigation could hardly have begun, French officials ruled out arson as a cause of the blaze. 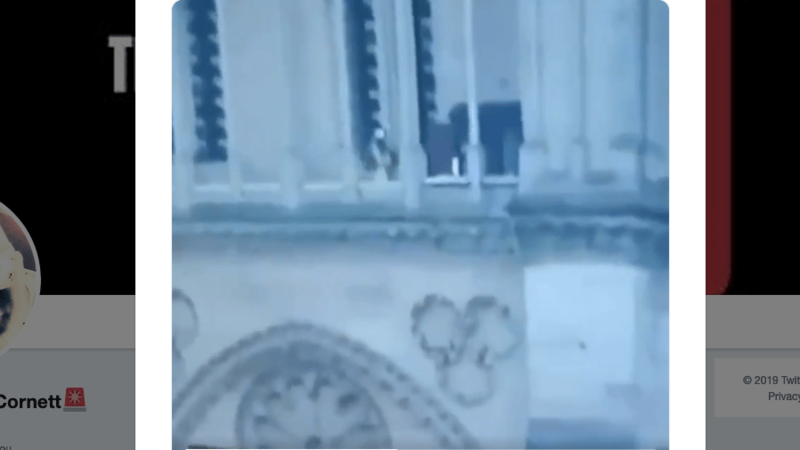 Yet one onlooker with a camera caught what appears to be a Muslim man, moving along a walkway on the facade of the Notre Dame Cathedral – while it is on fire. The footage can be viewed here: Still Report #2641, on YouTube. The footage has yet to be verified as authentic, but French President Macron and his government appear to be in no hurry to find out. Nor are some major US news networks. Shepherd Smith and Neal Cavuto of FOX News both dumped live guests, who suggested arson might be a cause. So far, only Lou Dobbs has considered the question. 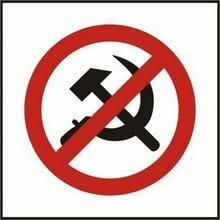 The silence of the French Establishment with regard to arson, may be motivated, among other things, by fear that Marine Le Pen’s nationalist right party, Rassemblement National, or National Rally, will gain strength in the European Parliament elections to be held on May 26th. For the sake of France, let’s hope that they do. Patrick Cloutier is the author of Mussolini’s War in Spain 1936-1939. Below: photo of a man in Muslim garb moving on Notre Dame Cathedral walkway. Below: Lou Dobbs condemns “political decision” to avoid considering arson.